We are the leading manufacturer, trader and supplier of Wire Process Equipment. We have designed and developed these products by using our state-of-the-art infrastructure facilities. We are the leading manufacturer and supplier of Wire Stripper & Twister. Adjustments for stripped lengths and wire diameters are simple. As the blade does not come in contact with the conductors, stripping and twisting is done without nicking. Once the machine is set just insert the wire through guide and withdraw to strip and twist the wire. Wire guides from 1.5 to 9.2 mm are available in the steps of 0.2 mm. One wire guide of your choice will be supplied with the machine. : -/ 1.0 -or depending upon wire length. Auto setting as well as auto running. 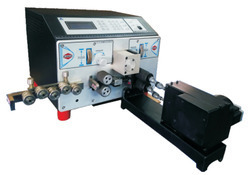 Fully automatic machine suitable and stripping of single core wires and flat cables. Machine for wires form 0.2 to 2.5Sq.mm, single core PVC insulated.. Separate 'power & control' panel to suit hot & humid weather conditions. We are the leading manufacturer, trader and supplier of DIP Soldering Systems. We have designed and developed these systems by using our state-of-the-art infrastructure facilities. These are designed as per the industry standards and are made using quality raw material. 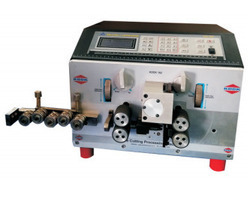 Used for fine pitch DIP Soldering Systems. In-built Temperature Difference Offset setting. Bath size: 8" x 7", 14" x 13", 18" x 14"
Looking for Wire Process Equipment ?